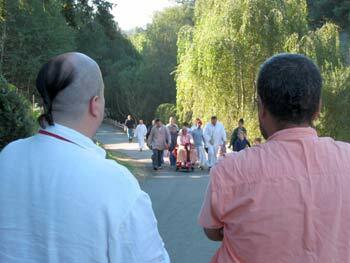 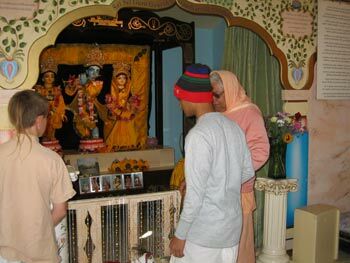 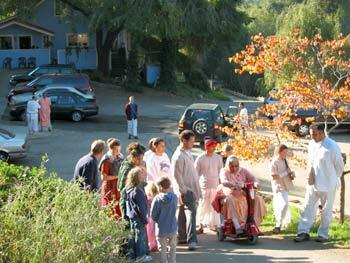 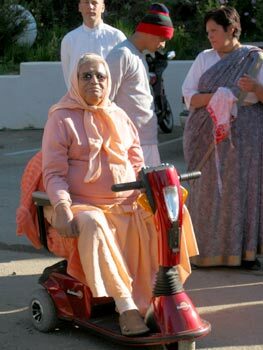 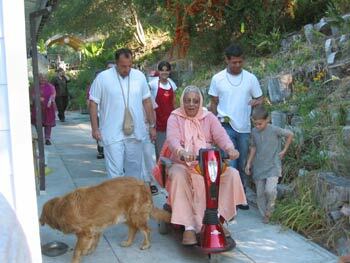 Coming back from his ride and walk, Srila Govinda Maharaj enters the temple to pay respects to the Lord. 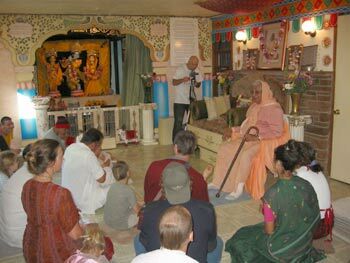 Then he speaks to the gathering of devotees. 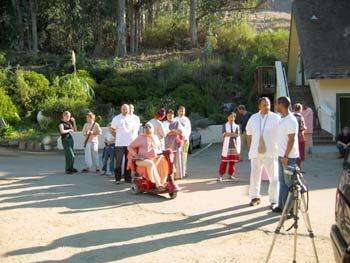 Within 15 minutes everybody feels fulfilled. 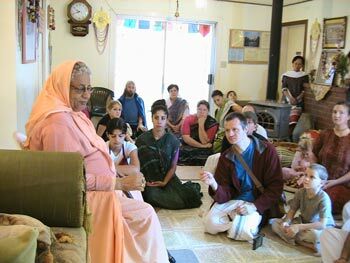 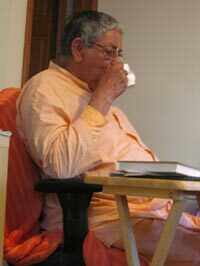 In the afternoon, Srila Gurudev discusses the English translation of his introduction to the Chaitanya Bhagavat (written by Srila Vrindavan Das Thakur). 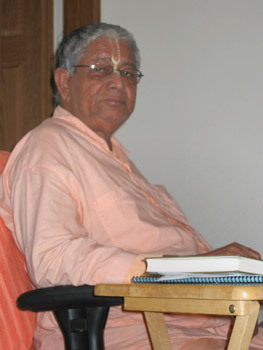 Srila Krishna Das Kaviraj Goswami writes in Sri Chaitanya Charitamrita that Vyasadev (the author of Srimad Bhagavatam) appeared as Srila Vrindavan Das Thakur. 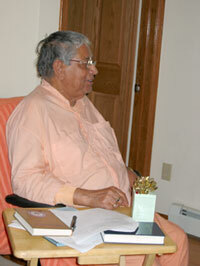 He also mentions the future appearance of another Vyasadev. 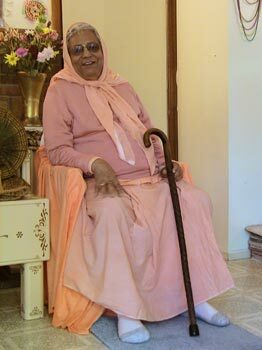 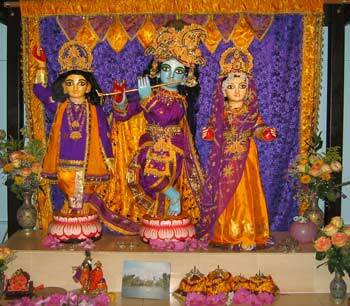 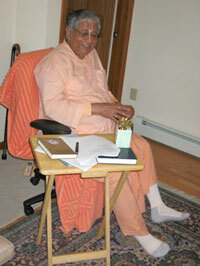 Srila Govinda Maharaj wrote that this person is Krishna Das Kaviraj himself. 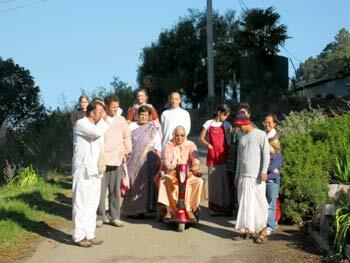 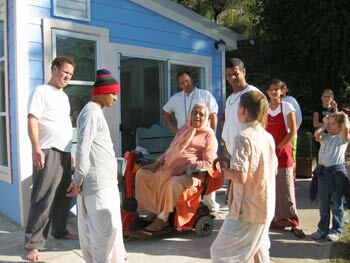 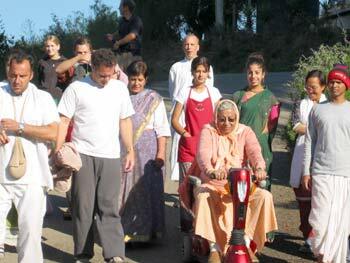 Meanwhile, devotees pay their respects and give presents to the Acharya. 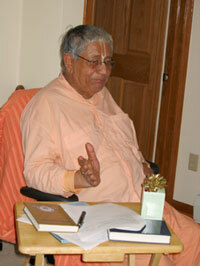 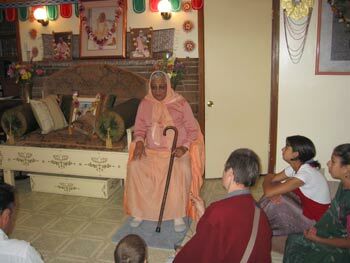 Discussion goes on and Srila Govinda Maharaj reveals more to the hearts of his followers. 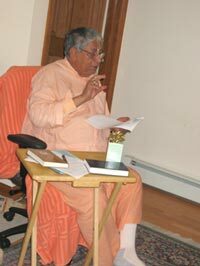 Editing English in spiritual texts is not easy. 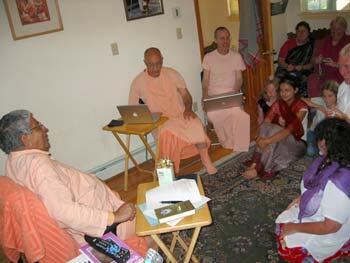 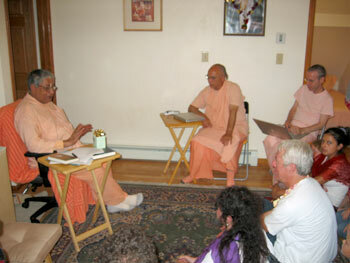 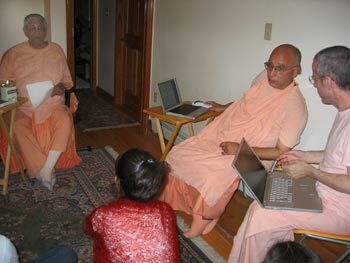 Sripad Goswami Maharaj and Sripad Janardan Maharaj search through their electronic books. 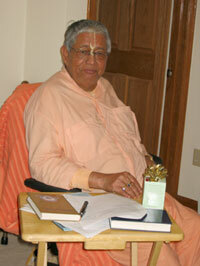 Srila Govinda Maharaj holds the printout of the English translation in his holy hand. 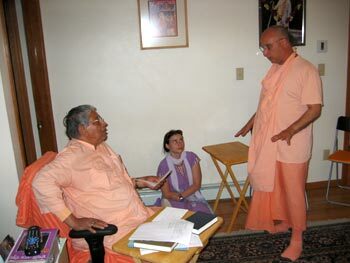 Sripad Janardan Maharaj expresses his appreciation after hearing Srila Govinda Maharaj explain the different points of the Chaitanya Bhagavat.